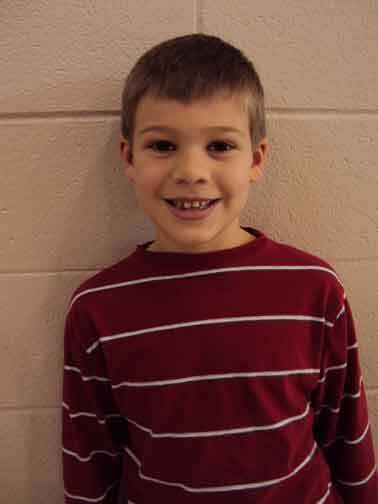 Second grade student, Brock, could barely contain himself when his fourth grade brother was accepted into the Hall of Heroes comic book club at my school. He wanted to read what his big brother got to read. At first, Roman lent Brock some comics, then Brock begged to be able to check out comics himself. 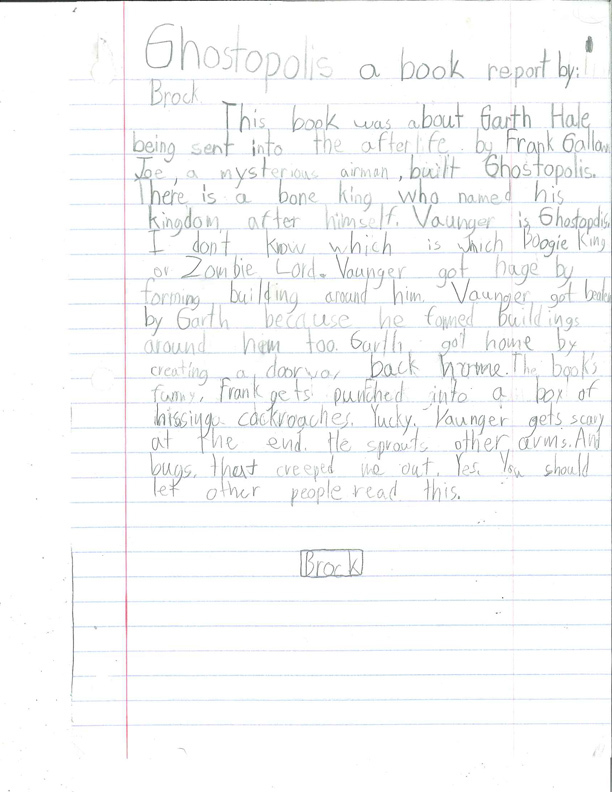 A softy for the excited reader, I granted Brock access and he's been reading comics since late September. It was not until he grabbed up GHOSTOPOLIS that his inner writer kicked in. Something about the skeletons and magic and mysticalness of GHOSTOPOLIS fueled his spirit. He wanted to write. I told him if he wrote a book report then I would publish it. 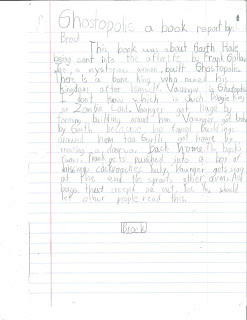 Two days later came the following handwritten report on a book that is meant for kids older than he. 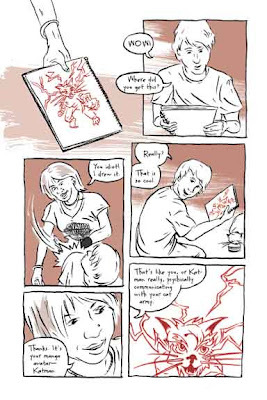 Receiving early praise from comics educators such as Kate Monin, GHOSTOPOLIS was also a huge hit with the Hall of Heroes members. They fought over it, traded it, read it together and checked it out with greased-pig speed. From both ends, this comic has found an audience. Nothing is left for us to do but to Highly Recommend it. 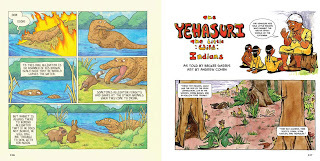 This short graphic novel is one of a series that is being put out by Innovative Kids under the banner of Phonics Comics. HIRO: DRAGON WARRIOR tells the story of a young dragon, Hiro, who must learn the ancient ways of the Dragon Claw dojo (taught by the patient Master Fu). Hiro is sent on a quest by Master Fu to recover seven Power Jades that were once stolen by the nemesis, Master Gomi. Along the way, Hiro recruits his former bullies to become his allies and uses his new understanding of harnessing his fears and intelligence in the midst of battle. While the story is predictable to anyone who has ever seen The Karate Kid, the story moves along at a brisk pace and we do cheer Hiro on when he confronts the enemy and has to use his wits to survive. HIRO: DRAGON WARRIOR is a perfect book for a beginning reader, who will surely be hooked by the pint-sized dragon who overcomes the odds. The second volume of the series – BATTLE AT MOUNT KAMADO – continues the quest for the other lost Power Jades, and I expect there must be a handful more HIRO:DRAGON WARRIOR books in the pipeline. 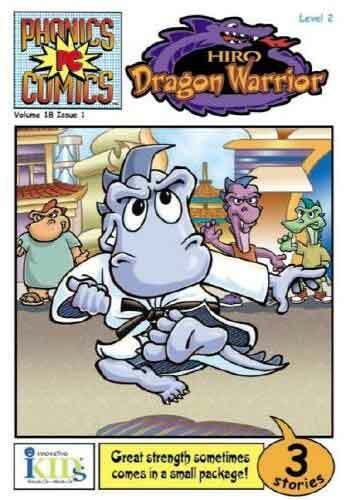 Unlike some of the other novels in this Phonics Comics line that I have bought for my young son where the story seems secondary to the art, HIRO:DRAGON WARRIOR is coherent and easy to understand. 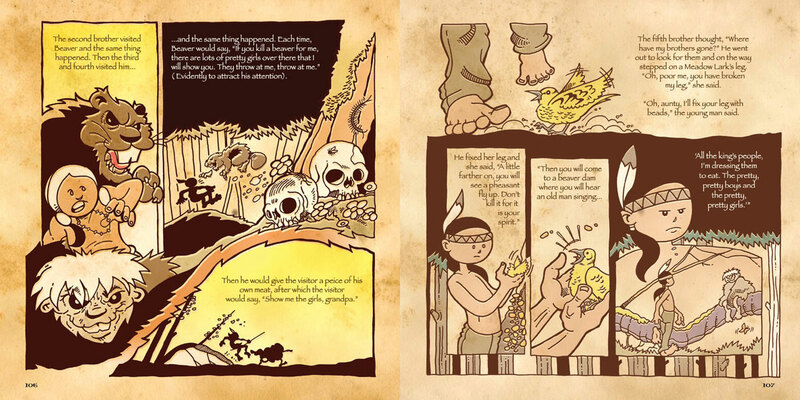 The book is colorful and simply drawn, with enough energy to excite and spur on even reluctant readers. Illustrator Robbie Short doesn’t break any new ground here, nor should he. Hiro and his band of young dragons are cute, and even Master Gomi, the villain, is not all that scary. 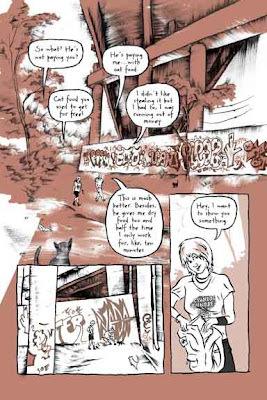 It’s a nice mix of cartoonish illustrations in a graphic novel setting. Since this series is designed around phonics, there are plenty of ways HIRO: DRAGON WARRIOR could become a popular staple of a classroom library. I liked that the publishers provided a list of words on the last page of the book that are considered challenging for the reading level and also a list of sight words that readers should see frequently enough to know on sight. 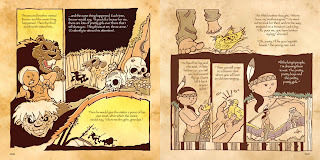 The editors also provide a nice introduction to the phonics-based graphic novel at the start of the book, which I think can be beneficial to parents who are reading HIRO: DRAGON WARRIOR with their children. 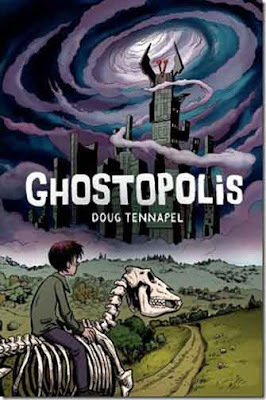 This graphic novel is perfect for the emerging reader and I would highly recommend it. READING COMICS is another great source to turn to in regards to both instructors and students who aren’t as familiar with graphic novels. Not only does Douglas Wolk discuss the theory and history of comics, but he also has a number of essays discussing different comic book writers and artists: Will Eisner, Frank Miller, and Alan Moore, just to name a few. 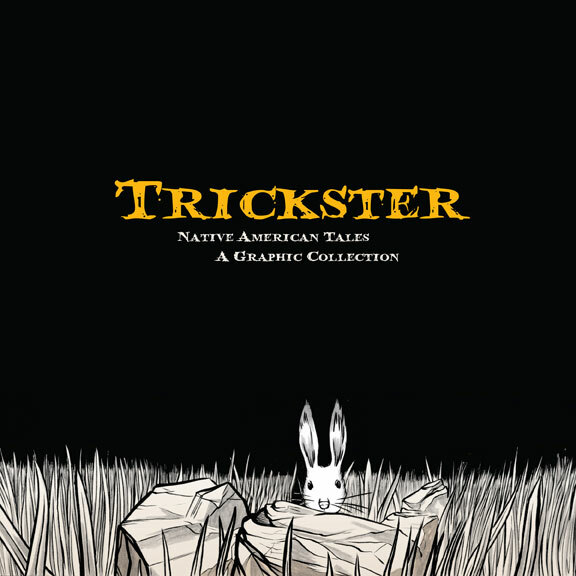 I found these essays to be the most interesting and noteworthy aspect of this book, since the essays can work well as an in-to activity for both instructors and students not familiar with looking at the analytical aspects within a graphic novel. 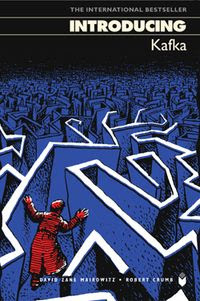 Since Wolk has provided specific analysis within the essays, taking a page or two from the actual graphic novel, he explains what the writer/artist is trying to convey. Overall, the essays are great models that can serve as helpful thinking and writing tools within the classroom. 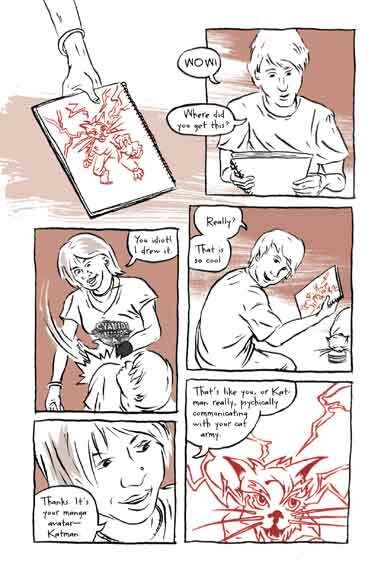 The book does provide frames from different comics here and there to supplement certain points that are being made. The first part of this book (Theory and History) is definitely something to be considered, particularly with the beginning section: What Comics Are and What They Aren’t. Wolk’s sub-section “Explaining Myself to a Straw Man” let’s the reader understand the purpose of the book and he further discusses how he defines comics. 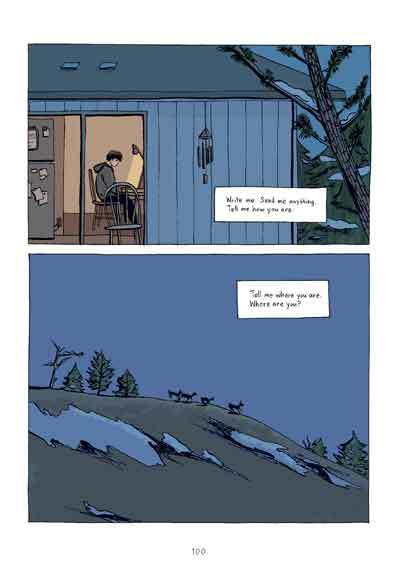 As mentioned earlier, the individual essays can also be used as other readings to go along with a graphic novel. 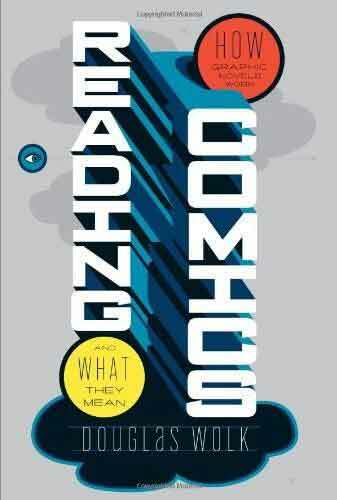 Though keep in mind that these essays might probably work better if the graphic novel was of the same writer/artist. 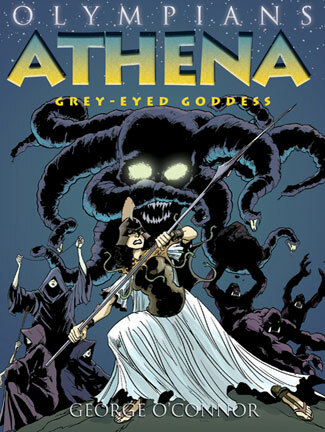 Gather round children and hark the tales of the goddess Athena spun by the sisters three known as the Moirae. The Fates, as they are otherwise known, sit and weave the tapestry of all lives and narrate the highlights of the goddess’ existence: Athena’s tumultuous origin story; how she came to take the name Pallas and obtained Zeus’ aegis, forevermore using reason over emotion; her epic battle with the Gigantes; Athena’s punishment of Medusa after the priestess’ desecration of the Athenian temple and then Perseus’ gift of the gorgon’s head to Athena; and finally Athena’s weaving competition with Arachne and the ensuring wrath over the mortal’s insolence. 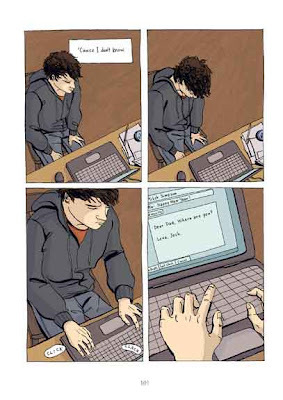 Continuity is such a beautiful thing for a reader and I give copious amounts of kudos to publisher First Second for ensuring that writer/illustrator George O’Connor stayed on for this second book in the Olympians series. In my review of the first of the Olympian series, ZEUS: KING OF THE GODS, I commented that O’Connor left me with many unanswered questions, making me want to read and know more; I am sure students will be the same. As I’d hoped and predicted, O’Connor continues the stories and answers some –– but not all –– of my questions. Finally, we can find out what happened to Metis. It does not bode well for Metis, unfortunately, but it is not a fact that should come to a surprise to anyone who knows Zeus. He did overthrow his own father after all. The narration in this story is different from the Zeus story. ATHENA: GREY-EYED GODDESS is comprised of several stories of the goddess with identified narrators, but this fact does not detract from the series continuity. The approach makes the stories connected but varied so as to give each god or goddess his or her due. As before, O’Connor gives the reader insight into the process of adapting the stories into comic format. He addresses the age of the stories, the conflicting accounts and his reasons for his approach. He also provides interesting endnotes categorized by page and panel. I love it: the maps, the essay, the endnotes, the character sheets, and the story. I just love the whole dang thing. It is Greek myth done very well. O’Connor art is so distinct and unique it would be easy to see a page of his work and identify it as his without any trouble. It is attractive. His characters are moderately detailed while his backgrounds are sparse. His color work is reminiscent of the comics of yesteryear. 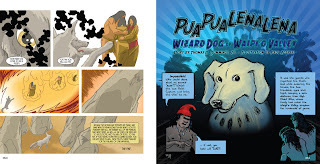 His art approach highlights the characters in such a way as to guide the reader’s eye and mind toward them and not the backgrounds and keeps the reader from being distracted or confused by too much detail. It’s Greek myth and that means there are battles and births and gods. 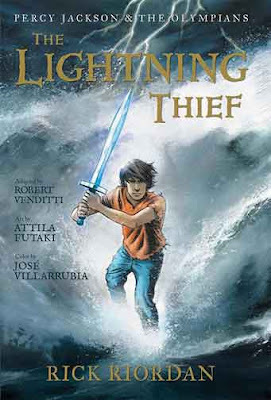 For upper elementary or middle school kids interested in Greek myth, this series is excellent. For high school students, the Olympians series would be a nice companion. 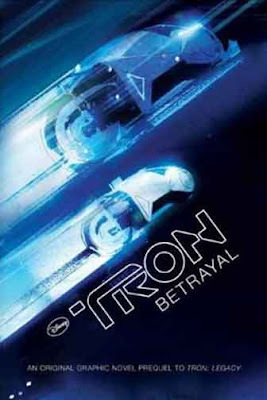 Themes of the number three, treachery and trickery, the struggle for power, and the use of myth as the cautionary tale are all easily identifiable. A teacher’s guide (pdf) is available from the publisher’s website. It offers book-specific questions (by page and panel) as well as bigger questions based on the entire series. In celebration of the holiday season, we will publish a few reviews and articles next week which should last you, our faithful readers, until the new year. We teacher-reader-writers need our time off just like the rest of the educational world. Although we often spend a lot of the Christmas break reading and writing reviews so we don't have to during school, not publishing while on break is helpful. If you get a chance, leave a comment letting the volunteer staff writers how much you appreciate their time and dedication to the comics-in-education movement. Praise and free comics are their only pay and they are richly deserved. May your holiday be restful and rejuvenating, giving you the energy you need to fill more minds with comic goodness in 2011. 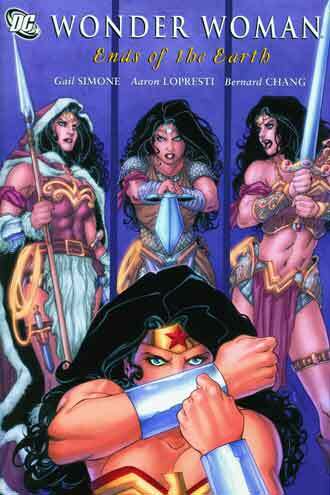 Wonder Woman is one of my all time favorite mainstream comic book characters. The search for strong female characters, after all, was the driving force behind my decision to read comics in the first place. I’ve always loved the idea of comic book characters, but I was not a comic reader as a kid for two reasons: The nasty not-real-reading stereotype, and the off-putting art styles of the 70s and 80s. Why were so many walls, tights and other various things pink? Pink! Despite my dislike of the art, I was into the characters, the ideas, the story. With towel tightly knotted around my throat, I once asked my mother if she would like me better if I could fly. I thought the woman was off her nut when she answered in the negative because in my mind any person was better if he could fly. I mean, duh. Moms say the weirdest things. Females have not always, traditionally, been written so well in the comic book industry. They have often been written as being weak, pitiful or in a perpetual state of love-struck idiocy. At the very least, it sometimes seems many of our female supers are afterthoughts to the industry. I have a friend who buys SUPERGIRL for his fourth grade daughter despite the fact that he loudly laments the writing as incoherent and inconsistent. He buys it anyway because she likes it. I suppose it is the right of every child to like garbage whether it is on television or in print. I loved KNIGHT RIDER and THE A-TEAM as a kid. I enjoy reading about powerful women. My comic guy, knowing my desire to promote strong female characters in comics, makes sure to point me towards great girl titles. On his recommendation I picked up BATGIRL and I went nuts. I’m still subscribing to that title and enjoying every minute of it. He also directed me toward writer Gail Simone (SECRET SIX and WONDER WOMAN). After I purchased my first two volumes of WONDER WOMAN hardcovers (The Circle and The Ends of the Earth) I got right to work. Not only is Simone’s WONDER WOMAN a beautiful title, but scribe Gail Simone may very well be my favorite comics writer. Her layered storytelling is classic in structure moving between the modern story and Wonder Woman’s hostile birth, all the while peppered with subplots and references to other times, other battles, other people. Simone treats her subject seriously and reverently without glorifying the conflicted Amazonian beyond humanity. Wonder Woman is at once a woman, a warrior and a philosopher. She is introspective and reflective, classy and charming, yet authoritative and unstoppable. It is Princess Diana’s warrior code that intrigues me the most. She is not a sanctimonious “boy scout” nor is she an antihero. Princess Diana, is an honest character capable of understanding her enemy, extend an olive branch to her enemy, or obliterating her enemy depending on the circumstances. She is a true warrior with a code that is reflective of honor. It is Wonder Woman’s warrior code that makes her such an admirable hero to study. 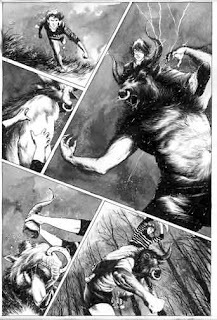 In the beginning of Ends of the Earth, Diana treks through an icy netherworld, hunted by pack of wolf-creatures. She subdues them easily with her lasso and then realizes the extent of the creature’s torment. An animal lover and vegetarian, Diana also recognizes their need to be freed. 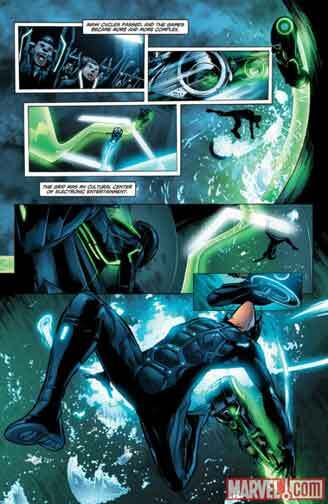 “The lasso soothes them, momentarily. But otherwise, they know nothing but agony and fear. They’re begging for release, before they lose their way and turn on each other. A pack to the end,” she thought. With Hephaestus’ gift she ended their long suffering though it hurt her to do it. Neither weak nor ostentatious, Wonder Woman is diplomatic even when faced with an overweening Beowulf who places his hands upon her wrist in an obvious authoritative move. “I warn you sire,” she says respectfully, “but I will not be handled.” She then grips her hilt. Ideological and pragmatic, Wonder Woman is capable of incorporating her peaceful philosophies into her militarist duty. The Amazon is a woman who is hard and soft, strong and empathetic, commanding and diplomatic, invincible and vulnerable. She is the epitome of what many women strive for. She is a hero –– a wonderful woman. The art between issues is subtly varied as different artists worked on different issues within each volume. The panel layout is brilliant, pulling the reader through the flashbacks with ease. Some panel frames are exquisitely detailed with scrolling ivy, wolf heads and dragons, reflecting the fantasy otherworld that Diana is forced to endure. I did find that Wonder Woman’s legs and boots were often too sparsely shaded or soft, giving the feel of clown shoes rather than warrior’s boots. I would not recommend the Princess look like a modern female body builder, ripping with muscles. I prefer a more female look. However, I think her legs could use a bit more sculpting. I am thankful that her stiletto heals were replaced with practical, flat-soled boots fitting an authentic warrior. It is not that WONDER WOMAN is inappropriate for younger readers; it is just that the story is complex enough that younger readers might really struggle with comprehension. There are no inappropriate words, but there is superhero violence. Wonder Woman is dressed like Wonder Woman. That is to say, she is in a swim suit-style uniform. She is not, in my mind, over-sexualized or inappropriate. I would allow my 10-year-old to read these books. There are two story arcs each in both volumes. That gives the teacher four stories from which to build a lesson. The first arc in The Circle details Diana’s birth as well as a modern attack on her home island. The second arc follows Wonder Woman’s courtship of soldier Tom Tresser with the Department of Metahuman Affairs. At the same time, Wonder Woman is needed on another planet to stop an invasion. The catch? The people being invaded are themselves invaders of planets. The first arc in Ends of the Earth continues with the courtship of Tom, but their relationship is complicated by the fact that his superior wants Tom to spy on Diana Prince and report back. 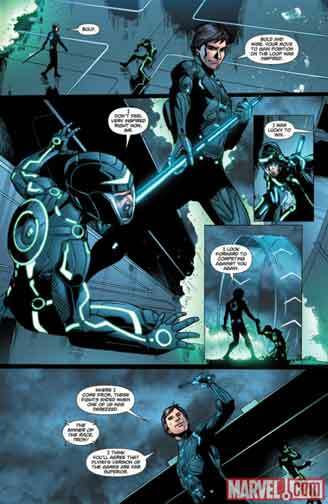 While this occurs, Diana finds a stranger in her office at the Department of Metahuman affairs. When the Amazon lasso’s him to unlock his soul, she finds he has no soul. The depths of his void and blood lust are endless and she experiences it all. She finds herself sucked into a mythical world where she meets Beowulf and they work to defeat the devil. 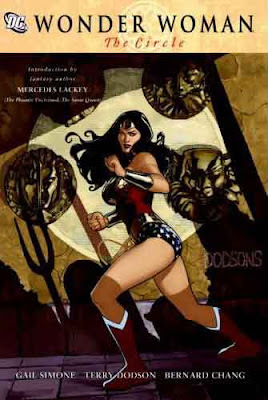 Through this fantasy story, the reader discovers the character of Wonder Woman. The last arc is a humorous yarn about an attempt to make a Hollywood flop “about” Wonder Woman. It’s merely a ruse for a sinster enemy to try to destroy Diana. Not only should students read these for enjoyment, but they should study the outstanding narrative structure. How does Simone tell her layered stories while still keeping the reader? Who is Wonder Woman? How does she define women? This tale is at home for a feminist study of modern women in literature and pop culture. How does this portrayal differ from other movies, comics or books? Is Wonder Woman a feminist, a pacifist, an activist? How has Wonder Woman evolved over the years? Is she a role model for girls and women? Do you admire her or criticize her? Why? Both volumes are also available in softcover editions. Wonder Woman is the epitome of womanhood and her stories are superheroic and yet still human and real. One November evening our old college theater friends decided to go back to the Alma Mater to see a performance of the musical production Company. As social and outgoing as I am, there are days, weekends – entire weeks actually – that I simply can not bear being bothered by hoards of people even people for whom I have a strong affection. One couple drove almost four hours to attend and did not have childcare. So I volunteered to watch the toddler, who slept the entire evening, and the 7-year-old. Sam and I played the requisite Wii marathon full of Lego Indiana Jones and Lego Star Wars. He looked at my samurai sword and my old toys. As midnight approached we sat on the couch together, my 7-pound Yorkie-Bichon mix sprawled over Sam’s legs, and we read comics. Sam lives sans canines but has cats, so I pulled down the only cat comic I had at home –– a book I had been meaning to read and this seemed the right time. Just as I guessed, BINKY TO THE RESCUE was a hit. Binky is a space cat (average house cat) living on a space station (a normal human home) and is charged with protecting the indigenous population (his humans) from alien invasions (bugs, bees, flies and whatnot). He takes his job quite seriously. One day he accidentally fell through a space hatch (window) and was trapped in outer space (the yard). Fortunately, Binky procured an oxygen source (water hose) before he was attacked by space aliens (bees) protecting their mother ship (bee hive). In his haste toward safety (the house) Binky left behind his only team member (stuffed toy mouse). As any good military officer knows, you cannot leave a comrade behind. Binky conceived and executed many plans to save Mouse, most of which were thwarted by the ignorant humans. Even nearing midnight, Sam giggled his way through the comic. In Captain Underpants fashion, Sam broke out in hysteria every time Binky tooted –– and Binky tooted a lot. Sam delighted in each attempt Binky made to save Mousie. BINKY TO THE RESCUE is as adorable and priceless as the first book in the series. 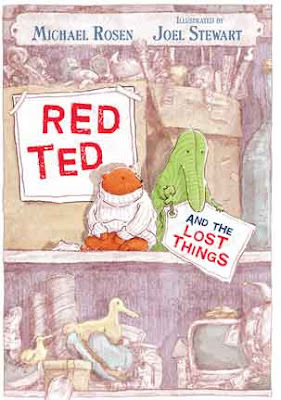 It is a tad long for a book for little ones, but is worth every darling little page turn. BINKY just makes you want to own a cat or more cats. BINKY has a very muted color palette that reminds me of many of the old Winnie the Pooh stories. The illustrations carry semi-detailed backgrounds without clutter making it easily accessible to young brains. BINKY is all about the coexistence of play-pretend and real life. I can see a lower grades teacher using a document camera to display BINKY on the wall and use it as a real aloud. I would certainly stop periodically and ask students to predict what will happen next. 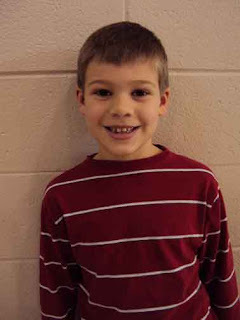 To incorporate writing, the students could even write what will happen next. Then back at the carpet to find out what really happened. 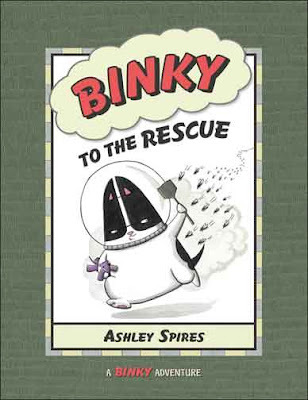 Older elementary students, grades 3-4, could even create their own pet comics using BINKY as an example. To further the classroom curriculum, the students could be required to use one or more of their weekly spelling words into the narrative. This allows the teacher to check those vocabulary words for both spelling and context, while also supporting other Com Arts standards.